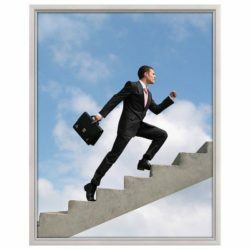 Overall Size: 24.24" x 30.24"
Viewable Area: 21.45" x 27.45"
Packing Size: 24.80" x 30.91" x 1.57"
Locking poster board swings open and close for quick poster change. 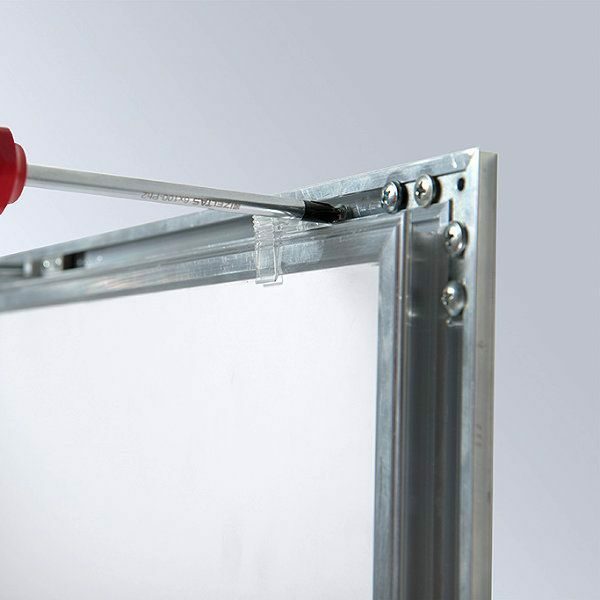 Anodized aluminum frame is resistant to rusting. 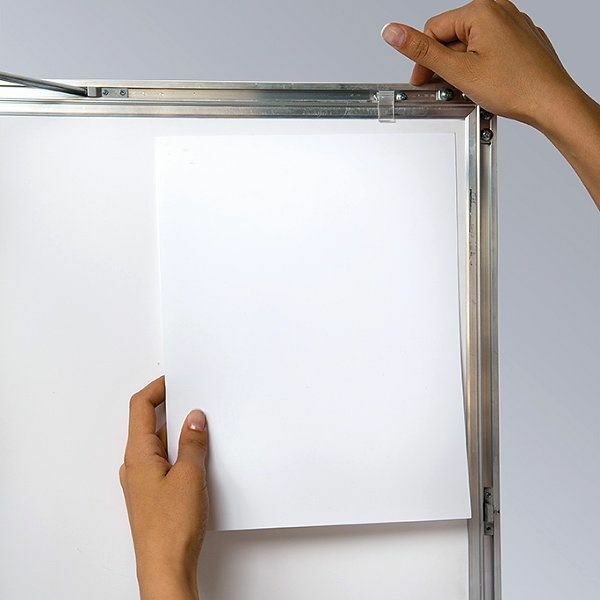 Holds 22″ x 28″ signs for high visibility. 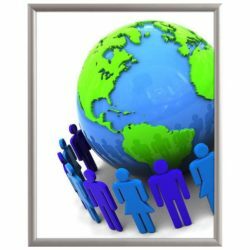 PET-G cover is very durable to withstand outdoor use. 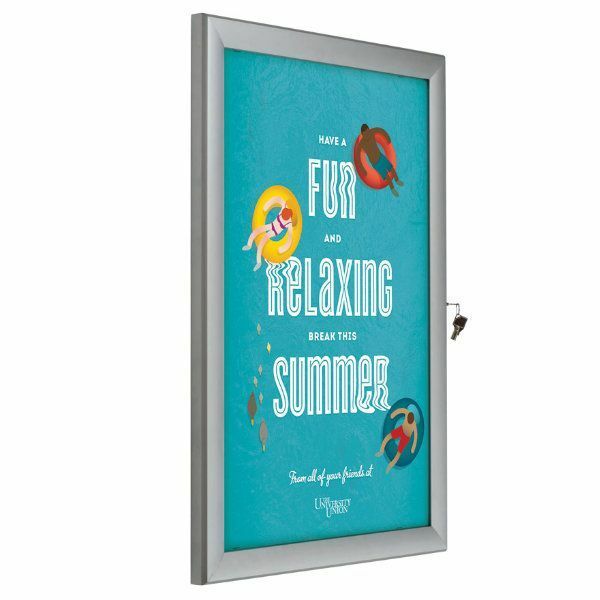 Each outdoor locking poster board, also known as a lockable frame, has a silver anodized finish, which coordinates with the decoration of most shops, cafes, restaurants, and office buildings. 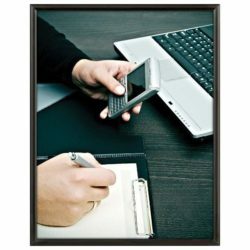 The sleek 1.40″ wide profile provides a stylish look and a nice border around the poster. 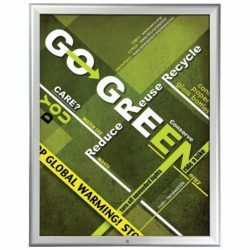 This enclosed poster frame has a depth of only 1.06″. So sleek and slim! This enclosed poster frame is for both indoor and outdoor use and 100% weatherproof. 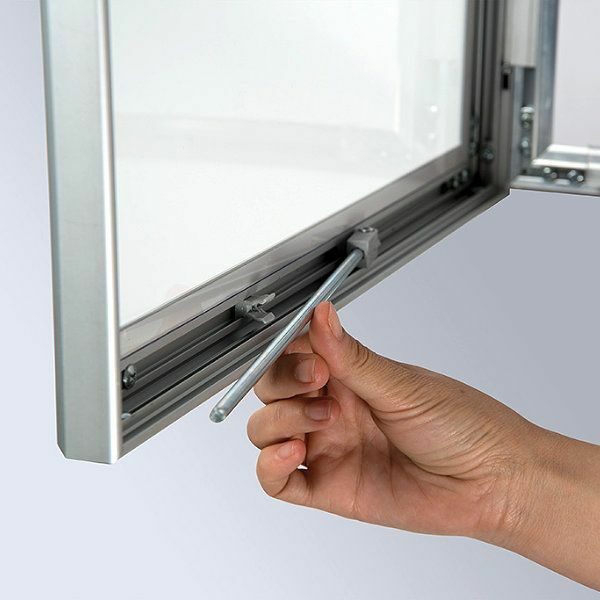 The swinging door can be opened up to 90 degrees. 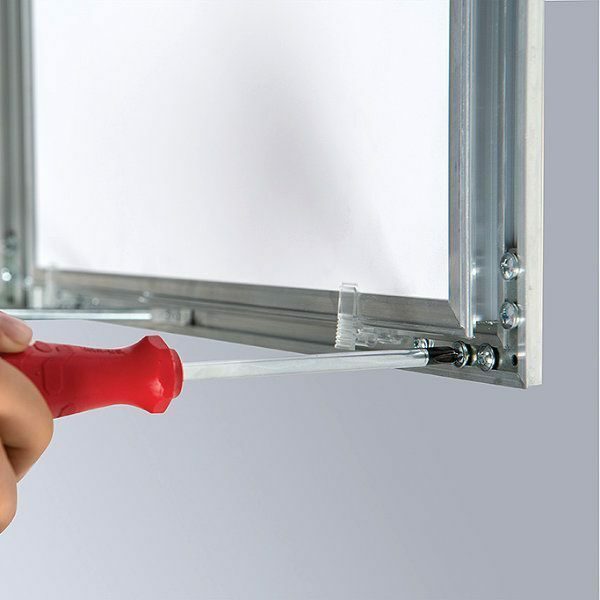 Each locking poster board has a handle to keep the door open while poster update. 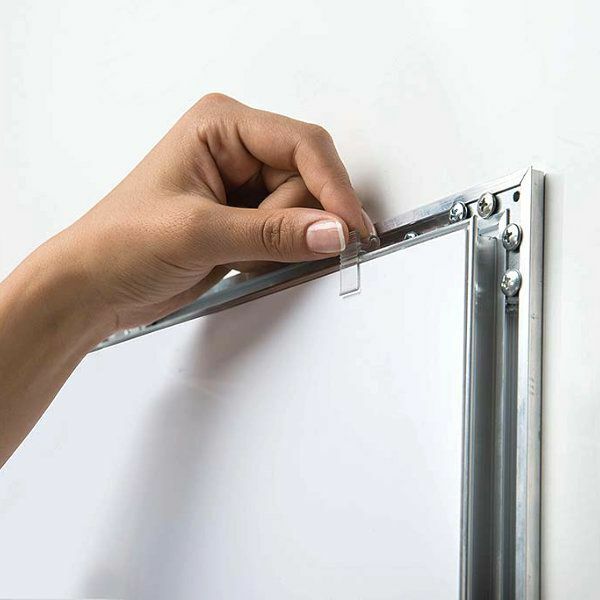 There are four plastic pegs to hold the poster inside the locking poster board and a discreet door lock on the side, that is invisible in frontal view. 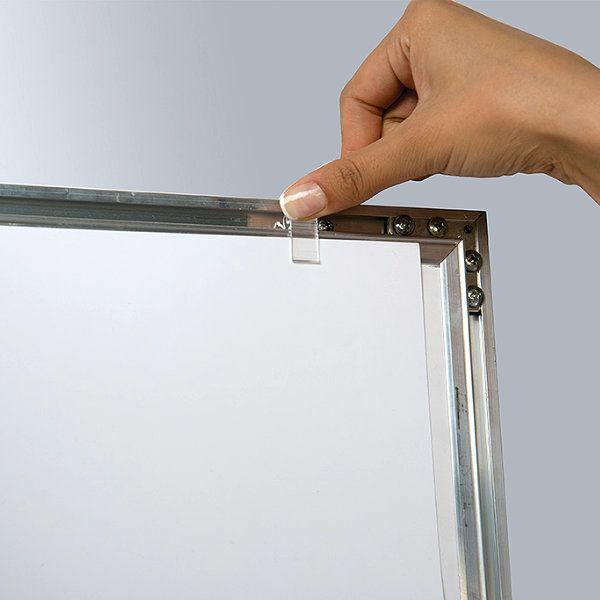 Each enclosed poster frame has a one key set of single variation. 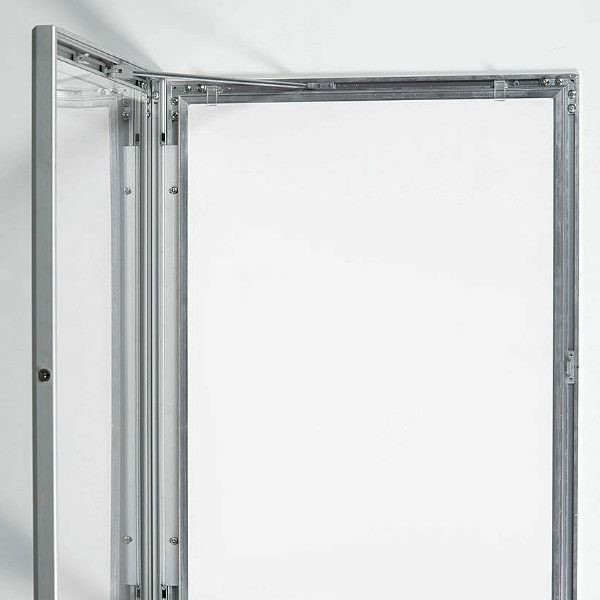 This lockable frame is very secure and resistant to tampering. 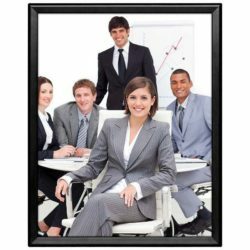 Buy this perfect slim enclosed poster frame for your 22″x28″ posters and advertise both indoors and outdoors safely. 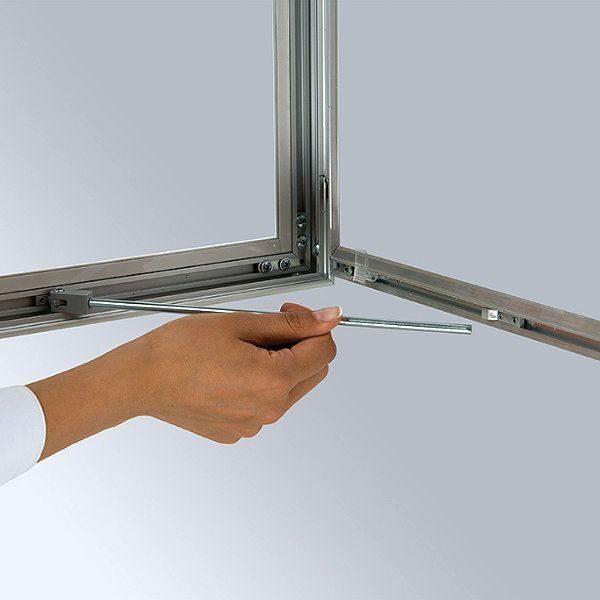 The quality is prefect and easy to use. So I want to buy another one.